This beautiful house in Blackheath, London had a great sized garden. It was expertly landscaped but the lawn was really letting it down. 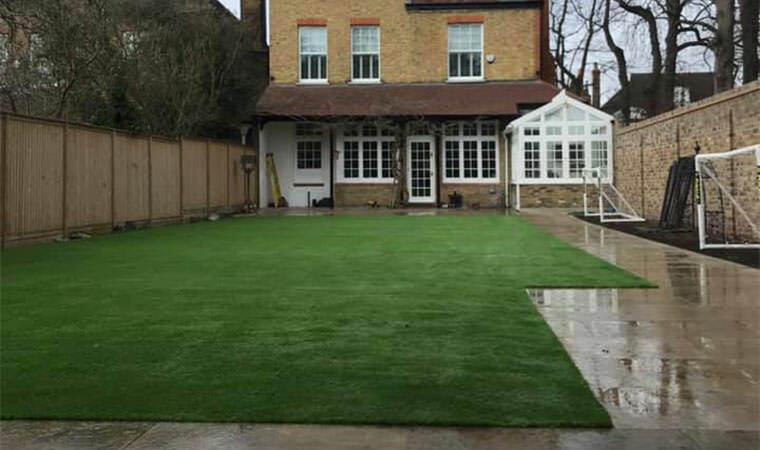 The owner asked us to create a lawn that was as close to the surface of a pool table as possible. That’s exactly what they got! 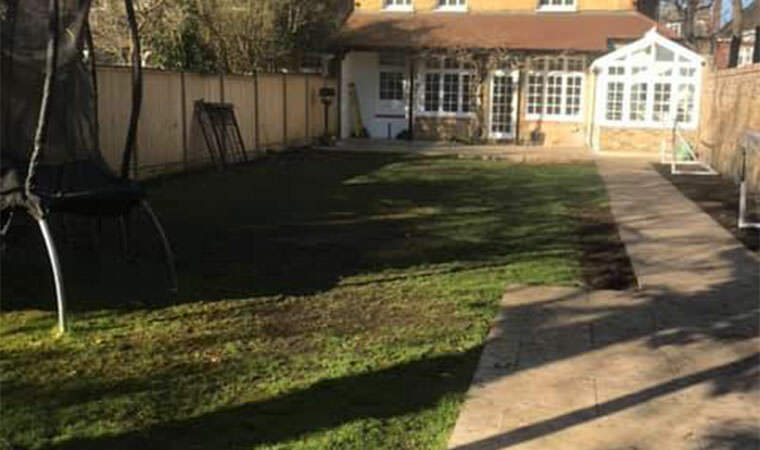 With 18 tonnes of topsoil and grass removed and 25 tonnes of Type 1 and granite dust compacted in we were able to lay our finest quality grass the Rectory.